Diet Whey is a high protein, low carb, low calorie protein shake that assists fat loss. Diet Whey has been & still is the market leading product of its kind. Offering 12 exceptional flavours you are spoilt for choice with Diet Whey. Diet Whey can be used by both men and women who are either targeting fat loss or looking to maintain a lean physique, year-round. Diet Whey is also suitable for Vegetarians. Diet Whey delivers a multitude of benefits. 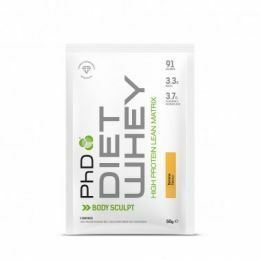 Not only does Diet Whey deliver 36g of quality protein per serving, but the protein derives from multiple sources giving you a variety of proteins that release into the blood stream at different stages which offer that drip feed effect of amino acids. Furthermore, as Diet Whey only contains 6g carbs per super serving and less than 200 calories, it is really macro-friendly & could fit into anybody’s nutrition plan; whether you’re carb cycling, following a ketogenic (keto) diet or just looking for something tasty that’s low in calories, Diet Whey is the perfect option. If this wasn’t enough, Diet Whey also delivers Flaxseed, CLA, L-Carnitine and Green Tea Extract which all support fat loss. Belgian Chocolate flavour - Other flavours may vary. â—¦Protein content calculated on the correct EU labelling directive of Nitrogen x 6.25 which provides an accurate conversion factor of protein consumed on an 'as-is' basis. 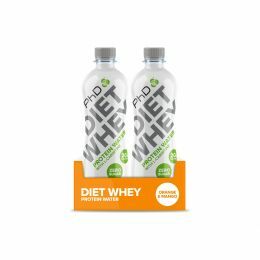 Diet Whey can be used at any time however it’s preferred usage which is evident from its large following is part of a smoothie which can be used for breakfast or in between meals throughout the course of the day.